Darlene Love performed at the Cabot in Beverly on Sunday. Singer Darlene Love was full of good cheer during her sold-out show at the Cabot in Beverly Sunday. It was billed as a Christmas show, but Love played plenty of other stuff, too, including her 1962 hit “He’s a Rebel,” as well as “Wait ’Til My Bobby Gets Home” and “Da Doo Ron Ron.” The evening’s holiday selections included — of course — “Christmas (Baby Please Come Home),” which Love had performed for many years on David Letterman’s show. Before Sunday’s concert, Love, 74, joined friends and fans at a reception at the nearby Chianti Tuscan Restaurant. Guests included jazz impresario Fred Taylor, Kevin O’Connor of “This Old House,” and the Cabot’s new executive director J. Casey Soward. 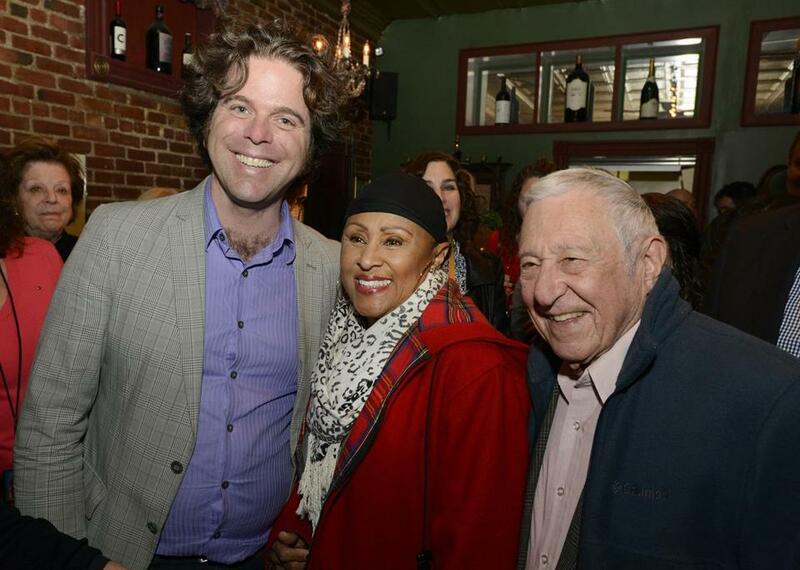 From left: J. Casey Soward, Darlene Love, and Fred Taylor after the concert.